There was a time when my lifelong goal was to carry ten cups of beer across the room and to the table–to share with friends, to drink myself, to offer to a random stranger. After all, beer makes life a bit more fun and parties infinitely better. 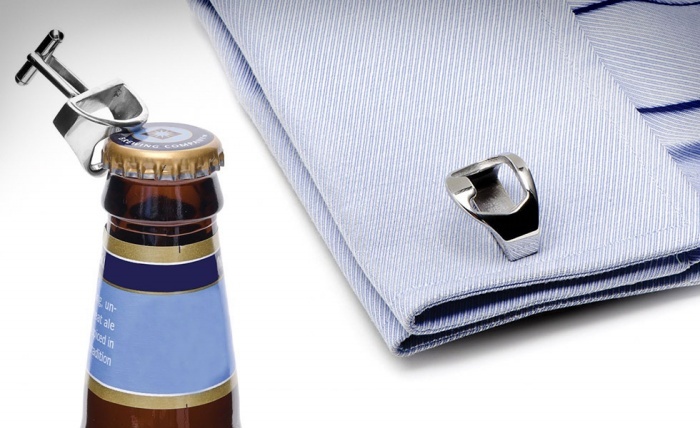 Unfortunately, few are blessed with the gift of balance, and it would take a major balancing act to get everything to the table without sloshing beer all over… or does it, really? Handle This Cup wants to change that. 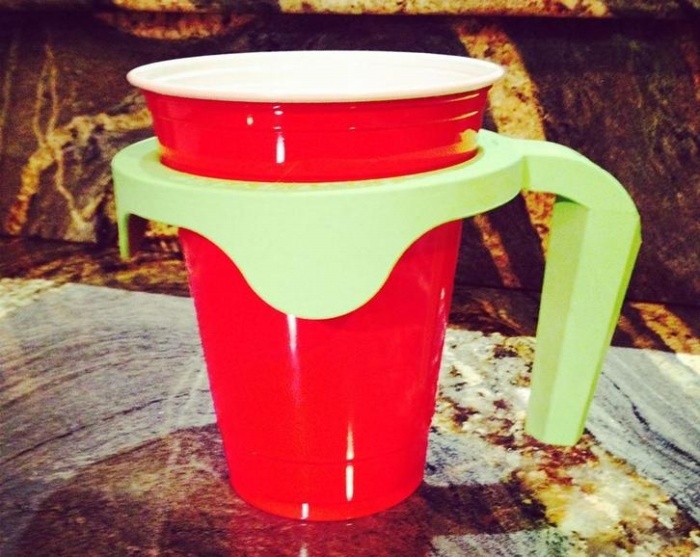 It’s a cup holder with a slot by the handle so you can stack another one on top of it. Keep stacking more cups–well, as many as you can handle–and you can carry all of them with ease. It’s currently up for funding on Kickstarter, where you can get one of your very own for $10. By Hazel Chua on 10/09/14 • Leave a comment! 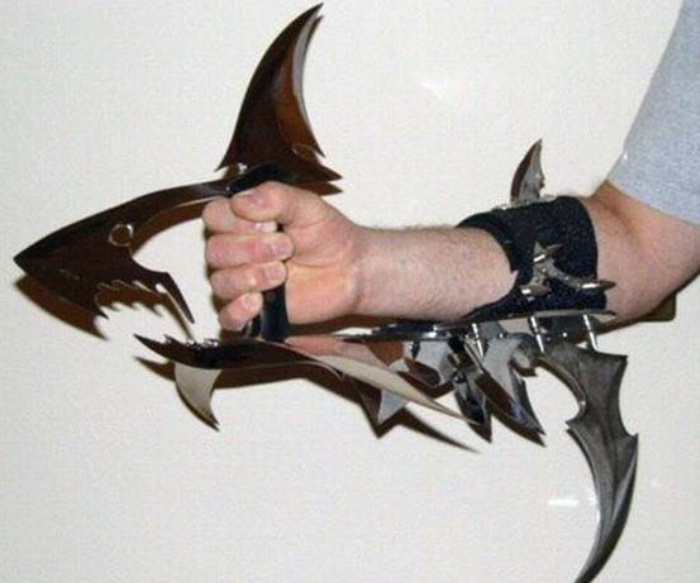 You can’t buy a shark knife, but you can make your own. 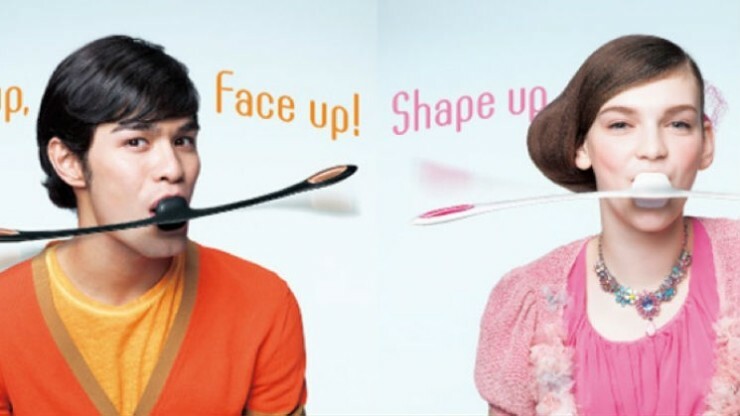 Facial Fitness Pao: Exercise Your Face By… Flopping It Up and Down? By Hazel Chua on 08/21/14 • Leave a comment! Japan is known for many things. Futuristic gadgets, capsule hotels, sumo wrestlers, and yes, their vast range of facial exercises that are as bizarre as they come. The latest of these is the Facial Fitness Pao, which looks a lot like a toy helicopter’s main rotor blades, only it’s noticeably less stiff. It also has a mouthpiece in the middle, which you’re supposed to pop into your mouth before bouncing your head like a madman to exercise your facial muscles. Can it actually sculpt your facial muscles, as it promises to? Let us know if you decide to fork $135 over to try it out. Too much of something often turns it into something undesirable. Take notes and reminders, for instance. A few tacked onto the board might be useful to remember the stuff that you should, but tacking everything from to-do lists and press releases to inspirational photos and other random stuff takes that usefulness away. 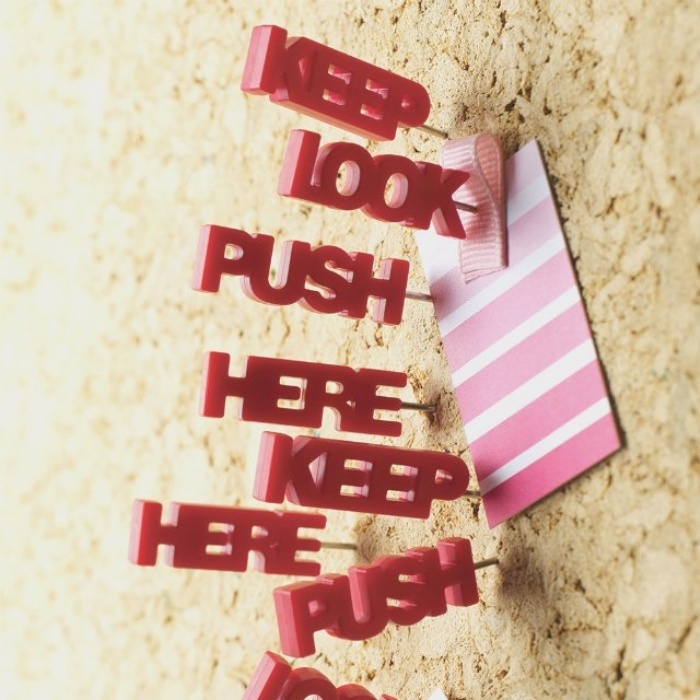 If you’re having a hard time unpinning stuff, then an alternative are these Tell Tale Push Pins. They basically tell you what they’re holding onto the board even before you check it out, so you’ll have a clue what it is without having to check every single note. Each set of 8 is priced at $9. By Hazel Chua on 08/06/14 • Leave a comment! 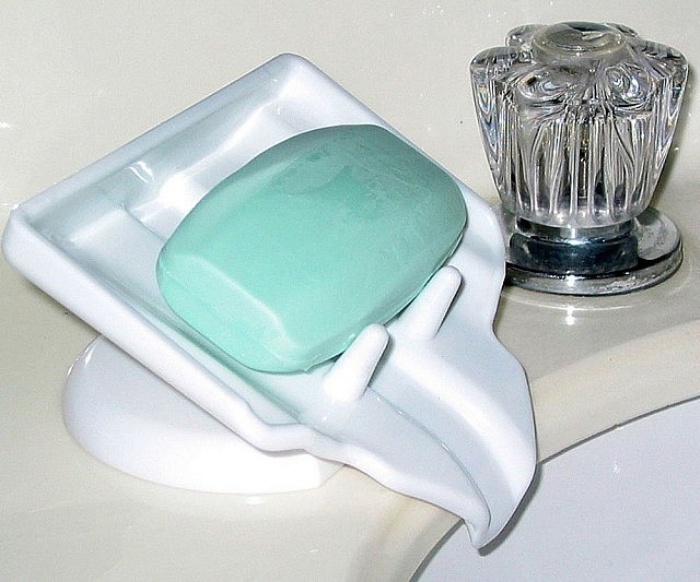 But here’s a bit of good news: a soap holder which does just that for you exists. The Water Draining Soap Holder basically drains away the excess water from the soap so it doesn’t slowly melt away in the holder. One first world problem, solved. It’s available online for $5.25. There’s nothing wrong with having breakfast all by your lonesome. But if you can enjoy your usual cup of Joe with a round of stimulating conversation to go with it, then why not? There’s only so many (or so few) cups that your two hands can carry though, and that’s where these mugs come in. The Link Mugs look like typical, white ceramic mugs. Plain even, except for a cross protrusion on one side. Look on the other side, and you’ll find a similarly-shaped recess on the mug. 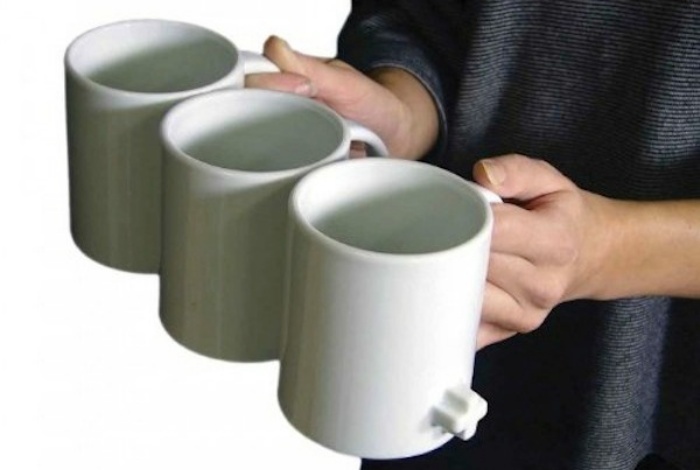 It’s pretty awesome what such a design addition can do, because it allows you to link one mug to the other, so you can carry several of them with ease at a time without worrying about spilling stuff or burning your fingers. They’re available online for $45. By Hazel Chua on 07/11/14 • Leave a comment! Remember the days when you used to lie on a bed of grass, staring at the sky with not a care in the world? Large patches of unoccupied grass might be harder to come across these days, especially if you tend to get lazy with the gardening. You could go to the park, but then you’d have to share your little patch of heaven with the rest of the world. So here’s an alternative: the Taer Grass field hammock. It’s covered in a ynthetic polyamide material that mimics the color and feel of actual grass. Of course, nothing’s quite like the original, but this is probably the next best thing to actual grass. The hammock is water and UV resistant and you can hang it indoors or outdoors, depending on your preferences and available space. 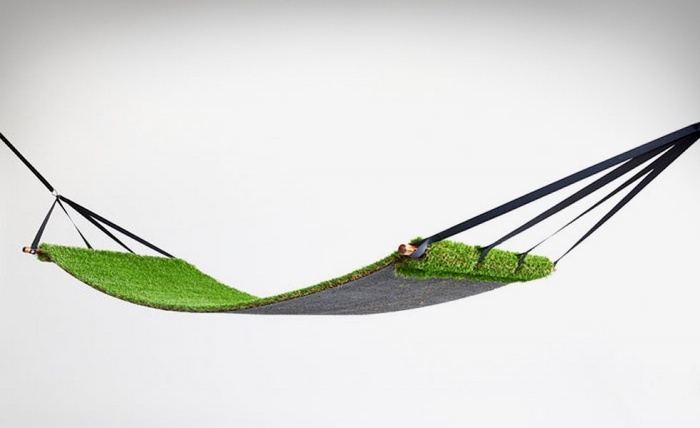 The Taer Grass hammock retails for €365 (about $500). By Hazel Chua on 07/03/14 • Leave a comment! Different strokes for different folks. That’s true in so many ways, and especially true in how people deal with stress and cope with stressful life events. Some people go out for a run, others shop, some sleep, while others fix a cup of tea and find themselves relaxing more and more with every sip. 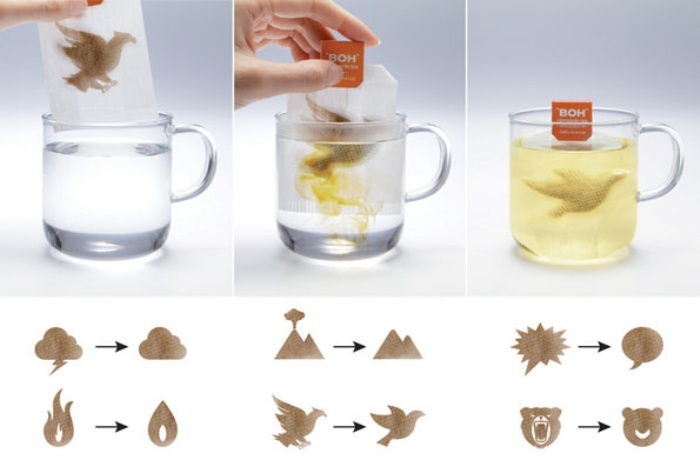 For the latter group, ad agency M&C Saatchi’s campaign for tea maker BOH makes complete sense. They rolled out an array of tea bags in unusual shapes and designs. The coolest part is when the bags are submerged in hot water, as they transform from a symbol that depicts stress to one that exudes calmness and nothing but good vibes.